A woman rubs her hands with a dough cake for baking. 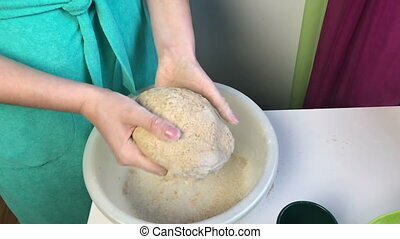 cooking bread at home. 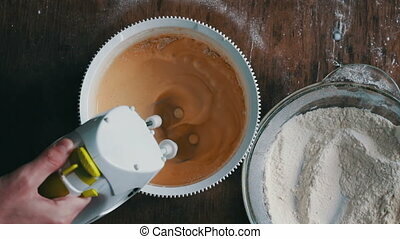 Top view of a woman chef who mixes dough electric mixer,Mixing dough with electric mixer. Cooking at home. 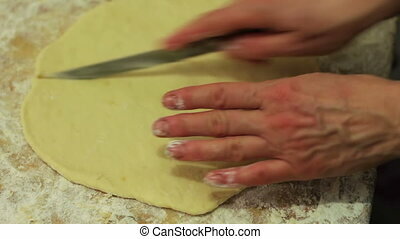 A woman rubs her hands with a dough cake for baking. 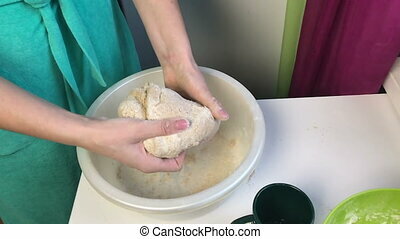 Cooking bread at home. Slow motion. 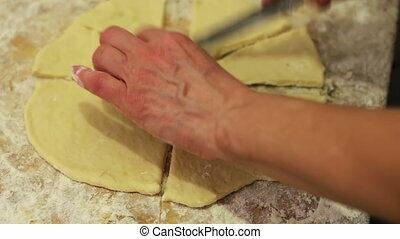 A woman kneads dough in her hands. 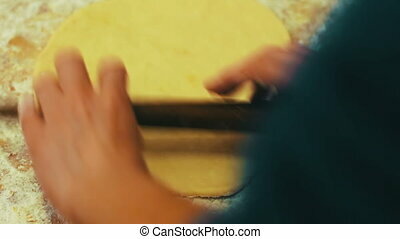 Cooking bread at home. 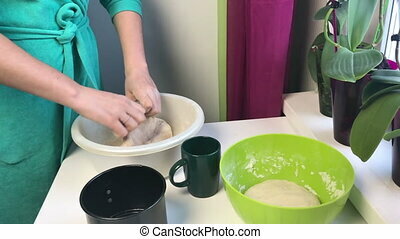 A woman puts a dough cake in a baking dish. 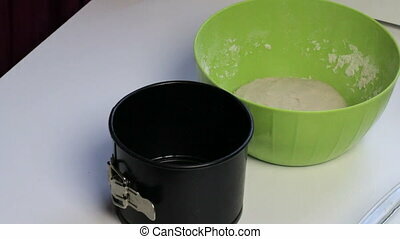 Cooking bread at home. 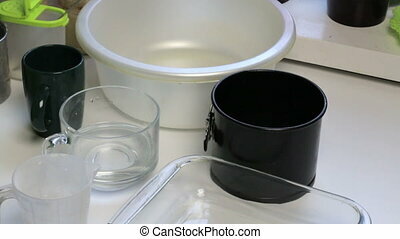 Utensils and tools for baking bread. 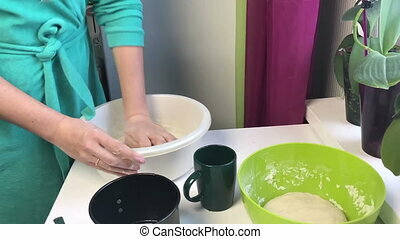 Woman kneads dough in a basin. 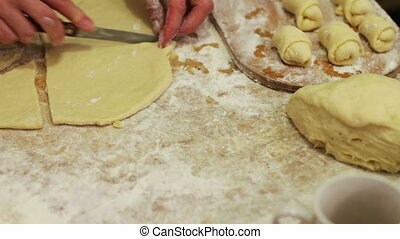 Cooking bread at home. 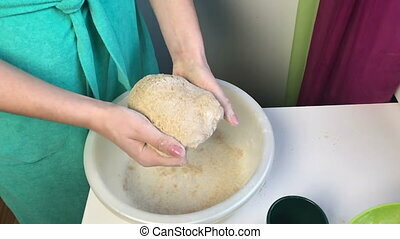 Woman kneads dough in a basin. 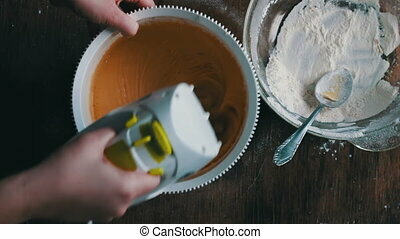 Utensils and tools for baking bread. Cooking bread at home. 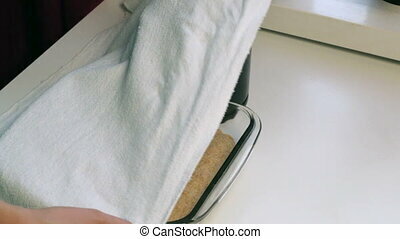 Woman covers with a towel baking tin. 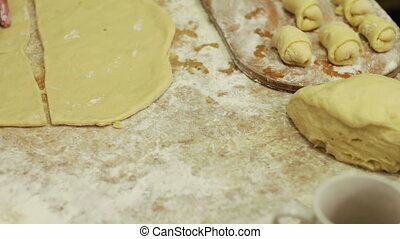 The dough lies in the forms. 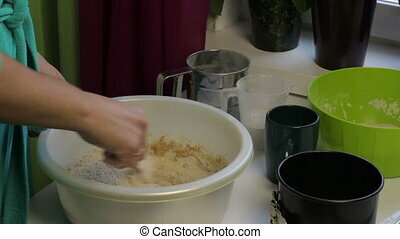 Cooking bread at home. 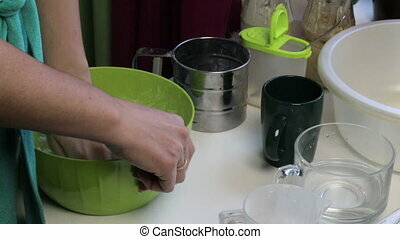 A woman mixes water in a basin with sourdough bread for the subsequent kneading of dough. 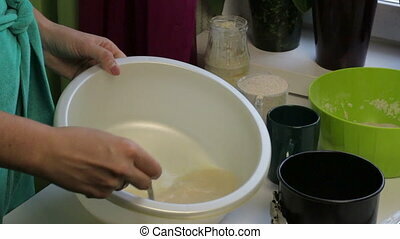 Cooking bread at home. 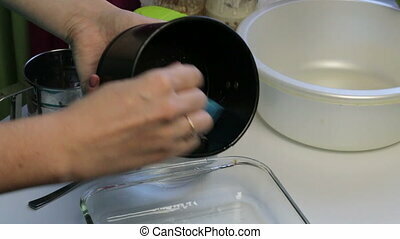 A woman smears a bread baking dish with sunflower oil. 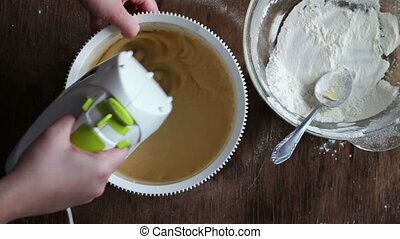 Uses a culinary brush. 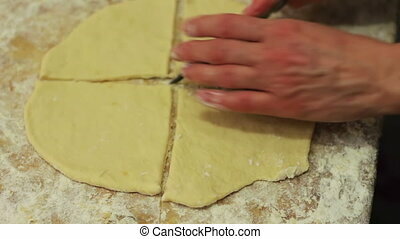 Cooking bread at home. On the table in a bowl are two bread cakes from dough. 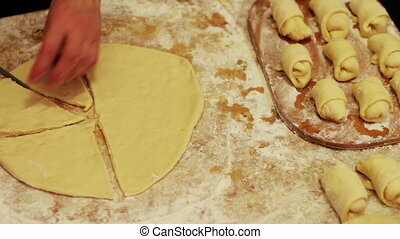 Rows are forms for baking. 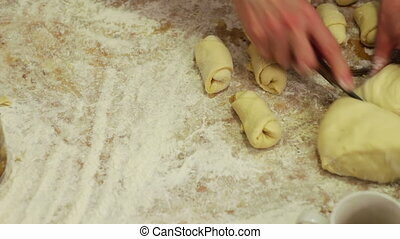 Cooking bread at home. 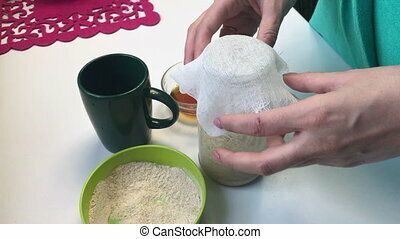 The woman covers with a gauze jar with a mixture of flour and liquid honey. 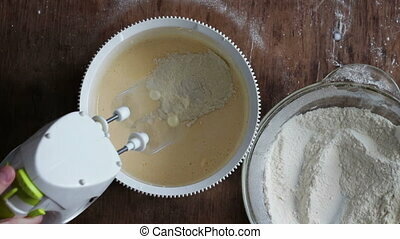 For the preparation of yeast for baking bread at home. 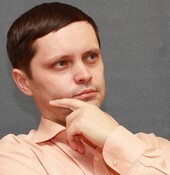 Other ingredients are located nearby on the table.